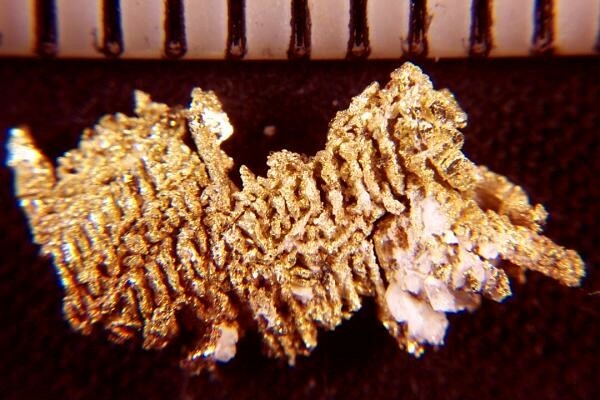 This Gold Nugget Crystal Specimen from the Round Mountain Mine in Nevada has tiny octahedron gold crystals on one side and fine gold crystal wires on the other side. Truly amazing! Very Unique and Rare. My Gold Nugget Crystal Specimens are all hand selected high quality gold specimens. 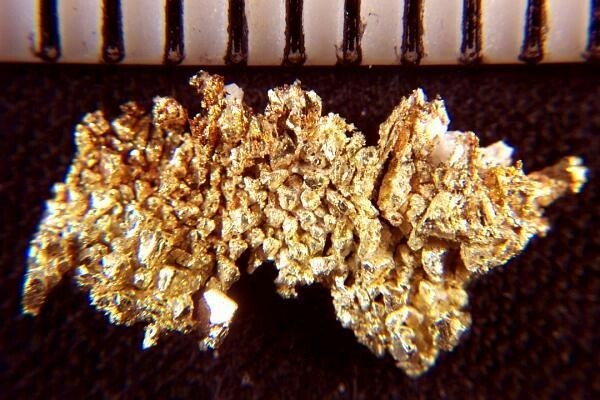 This gold specimen is 9/16" long (14 mm), weighs 8 Grains (0.52 Gram), and has lots of surface area for the weight and price. A truly gorgeous crystalline gold specimen.